True Roots Wellness | Always Tired But Can’t Fall Asleep? Here’s why, and what you can do about it. 06 Mar Always Tired But Can’t Fall Asleep? Here’s why, and what you can do about it. The frustration you feel is indescribable when you wake up exhausted, having had only a few hours of sleep and then are barely able to function by mid-afternoon. All you want is for night to come so that you can go back to bed. Finally it’s here, but as soon as you lay down you suddenly have a burst of energy and cannot come anywhere close to sleep, almost like some cruel joke from the universe. If you said “yes”, you are in the right place! 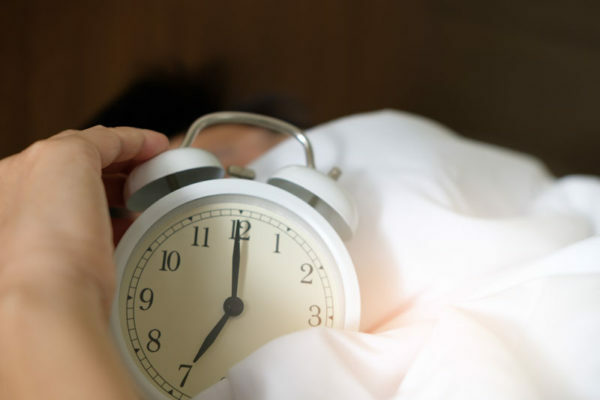 Read on to learn why your body doesn’t agree with the sleep schedule you try to keep, and what you can do about it. First things first, lets eliminate the common culprits: Alcohol, Sugar, and Caffeine. Do you consume any of those within a few hours of going to bed? If yes, the first test you need to take is change the time you consume these things to at least 8 hours before bed and see if that helps. That means if you go to bed around 10pm, no more coffee after 2pm! You could also try eliminating these things altogether if you’re up for the challenge. Caffeine can be the trickiest because it affects everyone differently. Some people can have coffee or caffeinated tea within a couple hours of bedtime and sleep with no issues. Other people can have 1 cup at 7am and not be able to sleep that night. You may need to experiment a bit to find what works for you. That’s why I suggest starting out with that 8 hour window and adjust as needed. Sugar can be difficult to eliminate or reduce because it is hidden in so many things you may not even realize. There is sugar in everything these days! Also, a lot of refined or processed foods affect our blood sugar levels in the same way as if you had eaten a candy bar, so try to reduce pre-packaged or processed foods including white bread, white pasta, and pastries. Stick to natural sources of food instead. Also, I need to say it – please don’t worry about fruit! Fruit contains natural sugars and is also packed with natural fibre. So unless you have insulin resistance or diabetes, chances are you don’t need to worry about it. If you do have those blood sugar issues like insulin resistance or diabetes, try pairing your fruit with a protein or a healthy fat in order to slow any blood sugar spikes. Ladies with PCOS need to be mindful of insulin resistance as well, so try that same tactic with any high glycemic fruits. After the trial-and-error of reducing or eliminating the common culprits mentioned above, the next step will be to consider some hormone balancing actions. Start by working on balancing your cortisol. If you find that you’re tired in the morning and have energy at night, your cortisol levels may be out of whack. In the evenings, try practicing some stress reducing activities to bring your cortisol down before bed. Keep in mind – this is not a quick fix. Meditating once will not fix all your problems. You’ll need to practice this on a regular basis to eventually start seeing results. Some suggestions for stress reducing activities are yoga, or meditation. Exercise can also work wonders on balancing cortisol. I know, I know, it’s really hard to exercise when you are so tired that you can barely get out of bed. It’s ok to start slow. Recognize and appreciate your limitations and work within them. If a short walk is all you can manage – that’s still great! Just make it a consistent activity and see if you can build on it later. With consistent action, you’ll eventually find some activities become easier as your energy increases. Select pre-washed and cut leafy greens (the darker the greens, the more nutrients). Select frozen produce if you need. If you are capable, buy fresh produce as nutrient content is higher and there is much more flavour! Utilize your slow cooker for meats, soups, stews, etc. Make larger batches of food and freeze them for those days that you are just not up to making anything new. Also, don’t be afraid of fats! Olive oil, avocado, coconut oil, nuts and seeds are your friends! The omega 3 fats help with hormone health and will be a stepping stone in getting your body and life back. The steps mentioned here are a great starting point to balancing your hormones and regulating your sleep schedule so that you have consistent energy all day long. 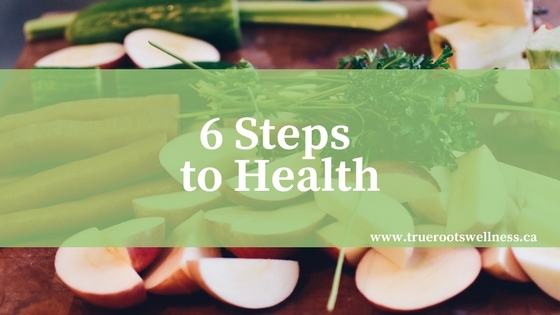 If you’re ready for the next step, or need some help working through some of the guidelines mentioned here, you may want to sign up for my program 6 Steps to Health. This is a 6 week program where we can work on some actionable nutrition and lifestyle changes that can help you to regulate your cortisol so you can sleep at night and feel great all day. Click here to sign up, or you can email me at Caitlin@truerootswellness.ca to request a free Assessment Call where we can discuss how I can help and whether we would be a good fit to work together on improving your health.